We’re marching! 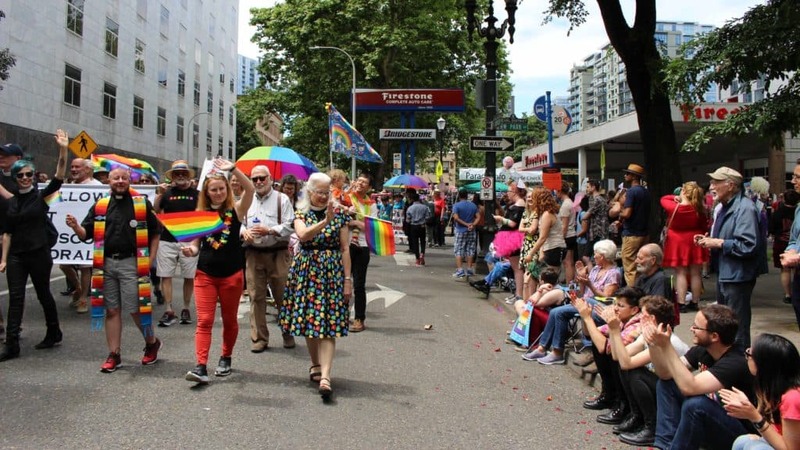 Join Bishop Michael and people from around the diocese on June 16 for the Portland Pride Parade. The parade starts at 11:00 a.m. Specific details about our meeting time and location will be shared closer to the event. Many thanks to Wayne Cornelius of Trinity Cathedral’s LGBTQ+ Fellowship, who handled the registration, and Charlene McCreight for her work with Integrity to grow participation throughout the diocese.